The following stages describe a typical change process in higher education. This framework is a compilation of many models for leading change. We’ll be exploring them during 2014. This would be the teleological view of change – end oriented – which does not describe all types of organizational change. Other things occur simultaneously or in lieu of this teleological orientation. Van de Ven and Poole (1995) describe other types of organization change: dialectical-life cycle, and evolutionary. Van de Ven has also said in later publications that they can sometimes overlap, which leads to more complexity. The never ending world of change! Van de Ven, A. H., & Poole, M. S. (1995). Explaining development and change in organizations. The Academy of Management Review, 20(3), 510-540. Poole, M. S., & Van de Ven, A. H. (2004). Theories of organizational change and innovation processes. In M. S. Poole & A. H. Van de Ven (Eds. ), Handbook of organizational change and innovation (pp. 374-395). New York, NY: Oxford University Press. Hi, Julie! You have a good point. 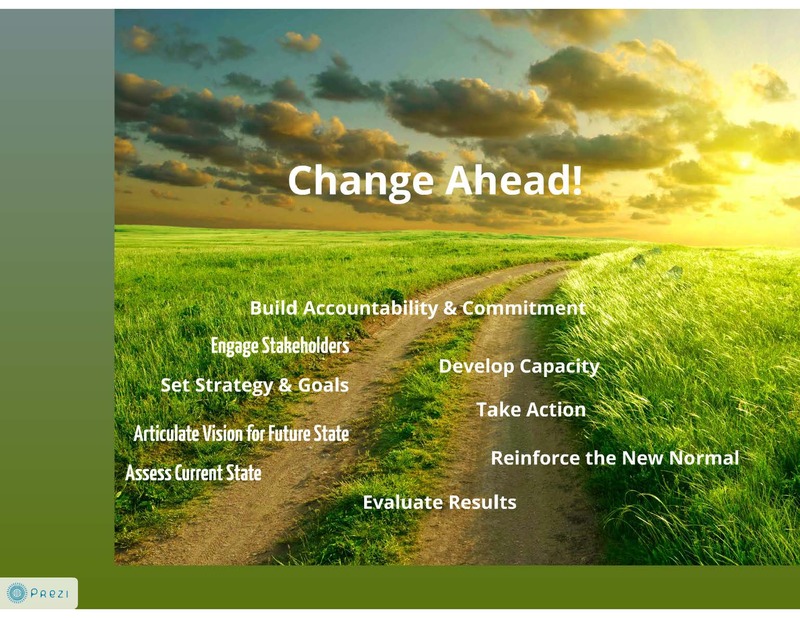 There are many ways to view and describe organizational change. And they all have their own sets of challenges. The never ending world of leadership!